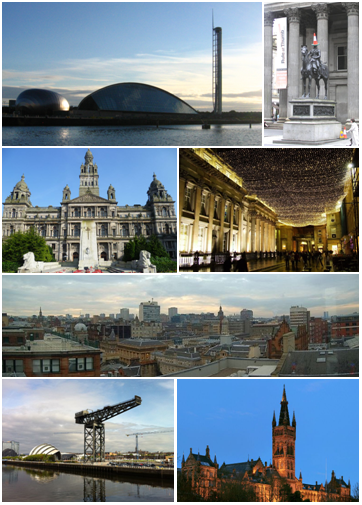 Sitting on the River Clyde, Glasgow is Scotland’s largest city and the third richest city per head in the UK, with an economic growth rate second only to that of London. Glasgow is ranked as one of Europe’s top ten financial centres, and also has strengths in biosciences, healthcare, higher education, retail, tourism, conferencing, communications and creative industries. Glasgow has the most extensive urban rail network outside London, an underground system, and two international airports. Glasgow has a diverse array of long-let investment property, with any young adults renting in and around the city centre. Being Scotland’s second most popular tourist destination attracting over 2.5 million visitors a year, there is a thriving market for short-let investment property in Glasgow too. As a major centre for higher education and academic research with four universities and seven colleges of higher education within 10 miles of the city centre, and the second highest student population in the UK, student lets in Glasgow are another popular type of investment property. There are 36 postcode districts with significant property markets in and around Glasgow, and here we break down key property data for each.